Disclosure: I was given a copy of the book in exchange for my honest review. All thoughts and opinions are my own. Do you ever run across a children's book that makes you so happy you paused to read it? That's how I feel about the book "I'm going to give you a Bear Hug!" It's absolutely precious. The words and rhymes will attract even the smallest readers and the illustrations absolutely finish the book to perfection. My 15 year old immediately noticed the child's teddy bear on each page doing something different. And if a teenage boy can enjoy a children's book, you know it's going to be a winner to the smaller ones, too. This book is sure to become one of the treasured bedtime books in homes everywhere. 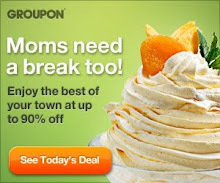 I know it would have been one we read over and over in our house. While my children are older, we all appreciate good children's literature and each of us have thoroughly enjoyed reading the book. One of my readers will get to read this book as a gift from the publisher to you. Please see below to enter for your chance to win a copy. 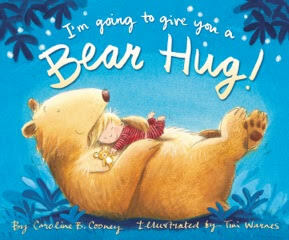 I’m Going to Give You a Bear Hug!, written by bestselling author Caroline B. Cooney, is a playful and comforting bedtime book that imagines all the wonderful ways a child might give and receive a hug.Whether it’s a big bear, gasp for air, knock over a chair hug or a wet and drippy, slimy, slippy fish hug, children will giggle their way through all the imaginative examples. Cooney’s sweet and simple rhymes encourage playful interaction between parent and child and ultimately help them wind down before they snuggle into bed and drift off to sleep.I’m Going to Give You a Bear Hug is a sweet loving bedtime story book that is also sure to become a Valentine’s Day favorite for little ones who enjoy celebrating a day full of hugs and kisses from loved ones. I’m Going to Give You a Bear Hug will be available in hardcover for $16.99 in retail stores nationwide and online on December 27, 2016.